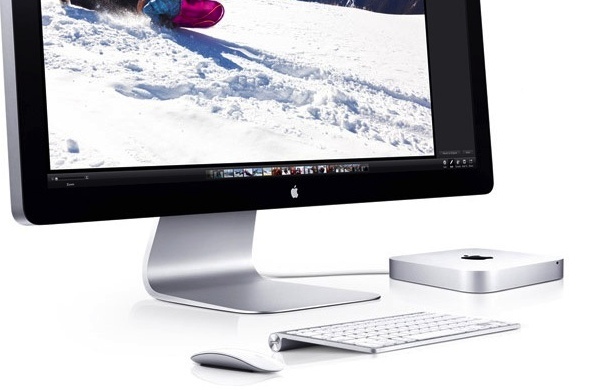 Haswell Mac mini, iMac Coming Soon? Slip sliding away. It isn’t unusual for existing product delivery times to slip — sometimes days, sometimes weeks — ahead of a new product launch. The trick, however, is knowing whether the shipping delay for Apple’s smallest desktop is just a supply hiccup or a sure sign that Haswell Mac minis are just around the corner. Last Fall, Apple announced then shipped, mostly, a very large number of new and updated products. However, both the iMac and iPad mini were delayed, so much so that many customers didn’t receive product until after Christmas — unforgivable. Earlier today Apple adjusted Mac mini shipping times and it’s a palpable difference — from 24 hours to five to seven business days. That may mean nothing, a mere supply blip. But the delay also could be indicative that Haswell Mac minis are just around the corner. For example, it is rumored that Apple expects to ship Haswell iMacs by the end of August. And, no, current iMac shipping times haven’t slipped, at least not yet. Regardless, both desktops shipped fourth quarter of 2012, undoubtedly roiling Apple’s supply chain, which is tuned to deliver product ahead of the Christmas rush. Of course, customers weren’t any too pleased either.